Be a princess everyday! 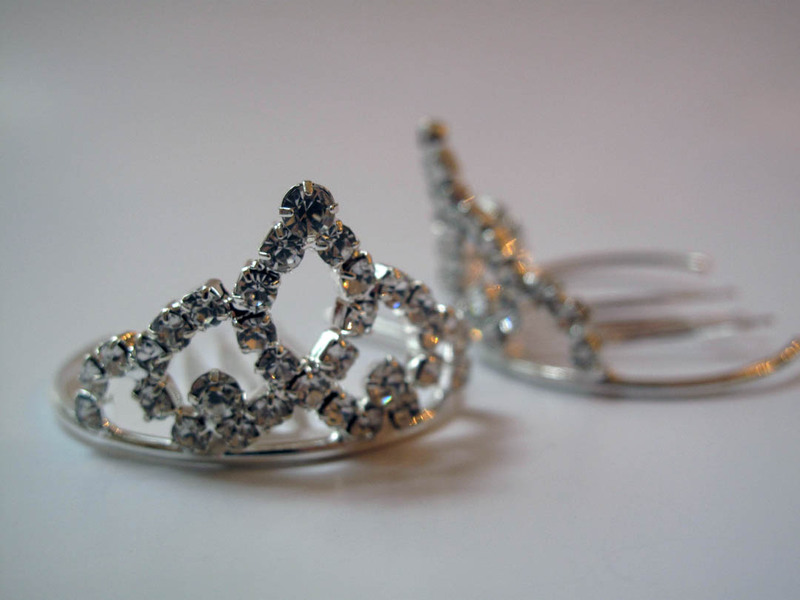 These tiny tiaras are adorable for party favors or just to wear for no reason at all. They have a hair comb so they stay on your head. 1 inch tall 1.5 inches wide. Tiara made with rhinestones and button center. Combs and headband style. 7x5x2 inches.